It sounds like free money: Everywhere you look, people are glued to their mobile phones, whether they’re in line at the post office, watching TV in their living rooms or cutting you off during the morning commute. All you have to do is throw some money at the stock offerings for Facebook or Twitter and wait for the cash to start rolling in, right? But, if you’ve checked recently, Twitter’s stock has plummeted, they’re laying off workers and investors are panicking. Facebook had the same growing pains, and anyone old enough to remember Y2K also knows the names etched on the gravestones in the social media graveyard: Friendster, Myspace, Google Buzz, etc. How can you protect yourself from disaster without missing out on what appears to be the wave of the future? You don’t want to end up kicking yourself because you missed out, just like you don’t want to kick yourself for buying too much. Below are some tips for investing in emerging technologies without losing your shirt. 1. Understand the product. You’d never buy Coca-Cola stock if you didn’t know what a soft drink is, so don’t buy stock in social media unless you understand their business. 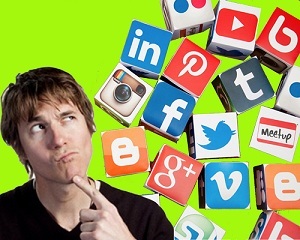 Social media sites are in the business of selling data to advertisers. They make their money by developing sophisticated algorithms that claim to understand you very well, so advertisers don’t have to spend big money to broadly distribute their message. What this means is that users are the product and advertisers are the customers. 2. Understand the market. Facebook is preferred by Baby Boomers, while Twitter is preferred by millennials, mostly because Boomers (their parents) are on Facebook. As of right now, Boomers are a more lucrative market because they have higher incomes and net worth. However, over the next five years, Millennials are expected to comprise more than half of all workers in the country and have an even larger share of personal spending. Boomers will be retiring as millennials are buying houses, minivans, golf clubs and all of those markers of suburban middle age. They can’t just buy coffee, cellphones and tattoos forever. If you’re buying Twitter stock, you’re planning on holding it until the millennials come of age, and therefore you’re betting on Twitter figuring it out over the long term. If you’re buying Facebook, you’re planning on selling sometime before the Boomers disappear from the workforce. Remember, all of those headlines about Boomers spending more in retirement are looking at Boomers at the beginning of retirement – when time seems ample, energy seems infinite, and all of those hobbies put off for decades need new supplies. Even America’s most mercurial and surprising generation will eventually succumb to the comforts of retirement. 3. Understand the risk. There’s never been a guaranteed safe play in the history of tech stocks. It’s doubly so for social media. Bear in mind that Facebook and Twitter compete directly with Google, Microsoft and increasingly with Apple for generating data to sell to advertisers. Of those companies, Google has always been tethered to the massive losses from YouTube, Microsoft took a major hit with its antitrust suit, and Apple nearly went belly up during Steve Jobs’ absence. It’s easy to read that last sentence as a list of great businesses beating the odds and overcoming adversity, but it ignores all of the companies that failed to do so. Buying Facebook or Twitter is going to be risky. If you’re worried about the time involved in your investment, our savings products can help there, too. If you’re buying Twitter now, you’re making a deal with yourself that you won’t sell it too soon and miss out on profits. But what if you need the money soon? Our money market accounts have no penalty for withdrawing your cash if you need it, helping put your mind at ease. Whatever your plan for investing, we can help you fill out your portfolio to help you reach your goals. Just give us a call and let us know what you want to do. We’ll sort out the rest.